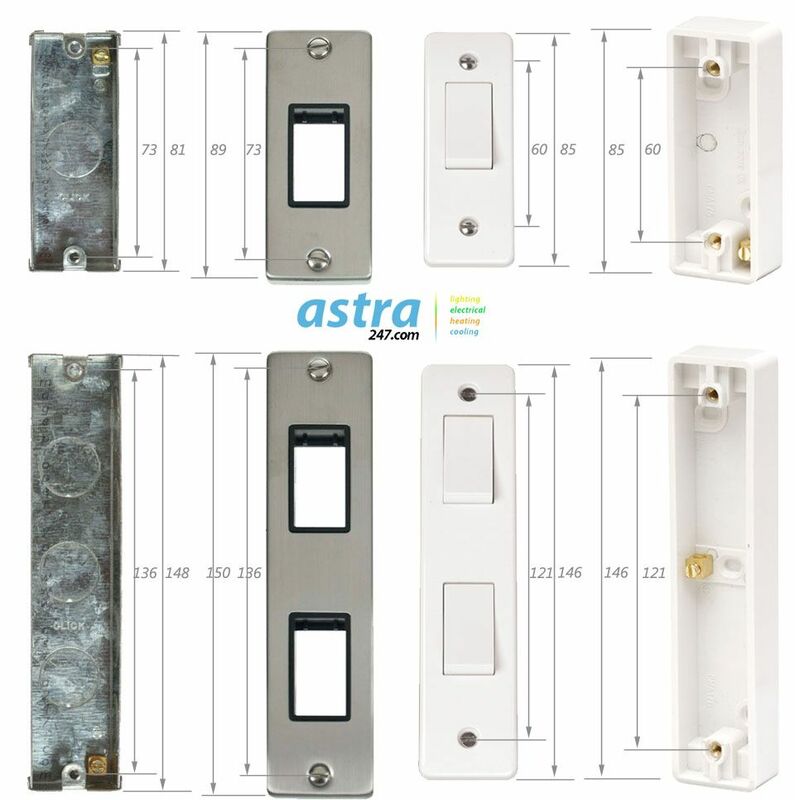 If you are planning on replacing an architrave switch with a decorative one, we have several finishes including satin and polished chrome, stainless brushed steel, antique, polished and satin brass, and pearl and black nickel. One major issue you may find is that the size could be different to a white one, this presents another issue if you want to fit to an existing surface mounted back box. It is very unlikely for our decorative switches to fit on your existing backbox, espaecially if it is a surface mount type. The switches that we sell have their own corresponding backbox which is sized correctly with the correct centres to match, you will need to purchase a WA571 single or a WA572 double backbox. We strongly advise taking some measurements from your existing switch and comparing with the size guide below prior to ordering.